US Transportation Secretary Elaine Chao has asked the Department of Transportation’s inspector general to conduct a formal audit of the Boeing 737 MAX certification process. The move was confirmed Monday by the US DoT after media reports of the probe into the Federal Aviation Administration and an increasing focus on the process used to certify the latest versions of the ubiquitous 737. READ: Boeing chief says company working to fully ensure 737 MAX safety. It came as President Donald Trump named former Delta Air Lines flight operations president Steve Dickson as his choice to become the new head of the FAA after the agency has been without a permanent chief for 14 months. A former US Air Force officer and F-15 fighter pilot, Dickson retired from Delta last year after a 27-year career that included responsibility for safety, pilot training and regulatory compliance. US media said the choice was made before the 737 MAX controversy arose as a result of recent crashes. Two Boeing 737 MAX 8 aircraft — Lion Air Flight 610 and Ethiopian Airlines Flight 302 — have crashed with five months killing 346 people. Ethiopian authorities have said there are similarities between the two accidents although they have yet to go into detail. All 737 MAX aircraft have been grounded globally and at least one carrier, Air Canada, has said it has removed the planes from its schedule until the beginning of July due to uncertainties about its return to service. Aviation consultancy IBA has estimated the direct cost to operators of grounding the planes is about $US150,000 per aircraft per day. Other estimates of the costs to Boeing of reimbursing carriers for the groundings have varied from $US100m a month to almost $US170m a month, depending on the analyst. Boeing has suspended 737 MAX deliveries but is continuing to make the planes. “Safety is the top priority of the Department, and all of us are saddened by the fatalities resulting from the recent accidents involving two Boeing 737-MAX 8 aircraft in Indonesia and Ethiopia, the referral memo from Chao reads. “ As you know, Boeing requested an amended type certification for this aircraft in January 2012, and the Federal Aviation Administration issued the certification in March 2017. “To help inform the Department’s decision making and the public’s understanding, and to assist the FAA in ensuring that its safety procedures are implemented effectively, this is to confirm my request that the Office of Inspector General proceed with an audit to compile an objective and detailed factual history of the activities that resulted in the certification of the Boeing 737-MAX 8 aircraft. The Wall Street Journal reported on Sunday that the Justice Department was also investigating the safety approvals and that a Grand Jury in Washington, DC, has issued a subpoena asking for documents about the MAX, including emails and messages. The WSJ said the Justice Department probe involved a prosecutor in the fraud section of the department’s criminal division, but it was not immediately clear if it was linked to the scrutiny of the FAA by the DoT inspector general. It noted it was unusual for federal prosecutors to investigate details of regulatory approval or to use a “criminal probe” to delve into dealings between the FAA and Boeing. Also unusual are reported statements by Canada and the European Union that they would do there own verification of a Boeing software fix even if it is certified by the FAA. Boeing had been working before the Ethiopian crash on changing pilot displays, operations manuals and crew training related to controversial software added to the 737 MAX. A report in The Seattle Times that the US Federal Aviation Administration delegated much of the safety assessment during the 737 MAX’s certification process to Boeing and that it contained crucial flaws has further added to the controversy. 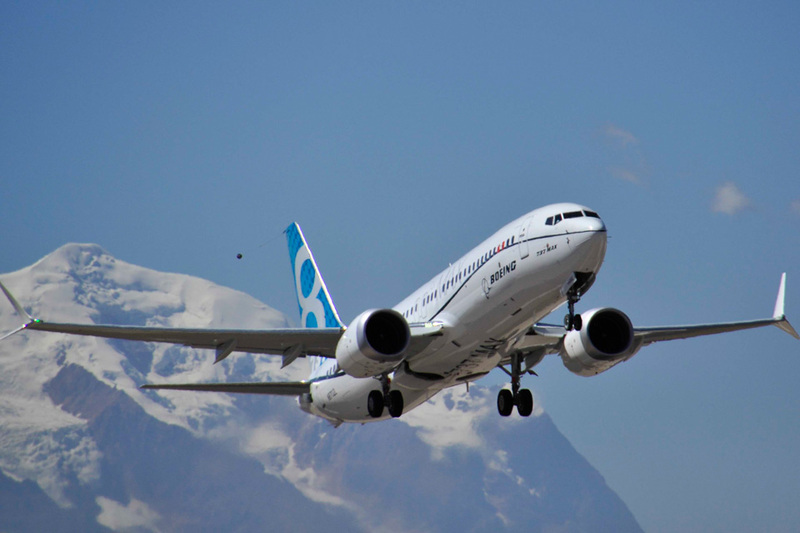 Boeing told AirlineRatings that the 737 MAX was certified in accordance with “the identical FAA requirements and processes that have governed certification of all previous new airplanes and derivatives”. “The FAA considered the final configuration and operating parameters of MCAS during MAX certification, and concluded that it met all certification and regulatory requirements,” it said. Next articleStruggling Jet Airways continues to ground planes.